Best known for his highly-detailed objects, James McNabb is an emerging artist based in Philadelphia, United States. 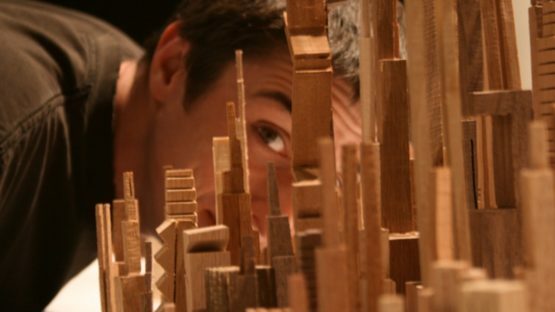 He explores the urban landscape with his wooden sculptures and shows incredible skills in carving wood. 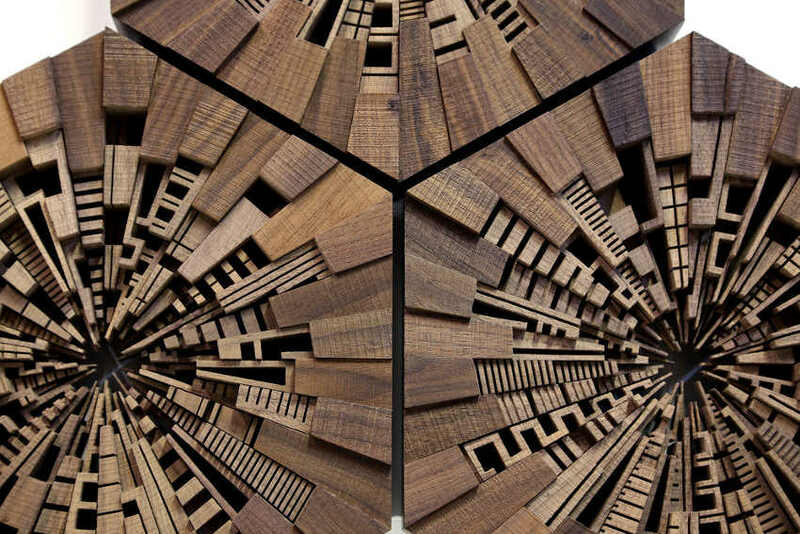 The talented artist makes abstract architectural forms from discarded scrap wood with passion and claims that listening to his favorite music while cutting is the way he makes all the stresses of the world go away. The artist, who has more than 10 years of woodworking experience, explores shapes by using a technique frequently described as “sketching with a bandsaw“ and intuitively cutting repurposed and exotic woods into small skyscapes in different shapes and sizes. When carefully placed together, these shapes become component pieces of larger sculptures which resembles wheels and tables made out of a vast skyline. McNabb makes thousands of these amazing miniature homes and office buildings, and no two individual pieces are alike. Instead of just placing them on a flat plane, James McNabb makes various shapes out of groups of miniature towers. The artist has been fortunate to have a father who owns a small wood mill in New Jersey and who provided him with supplies for making his sculptures when he was starting. The sculptor’s fascination with skylines and cities started in his childhood. Growing up in Montville, New Jersey, he loved to stare at the New York City skyline, the city which has always been a source of inspiration for him. New York is a fast-paced place, a land of endless possibilities, where people journey to pursuit a better life. McNabb sees his works, architectural forms made out of discarded scrap wood, similar to cities, where people make something out of nothing. 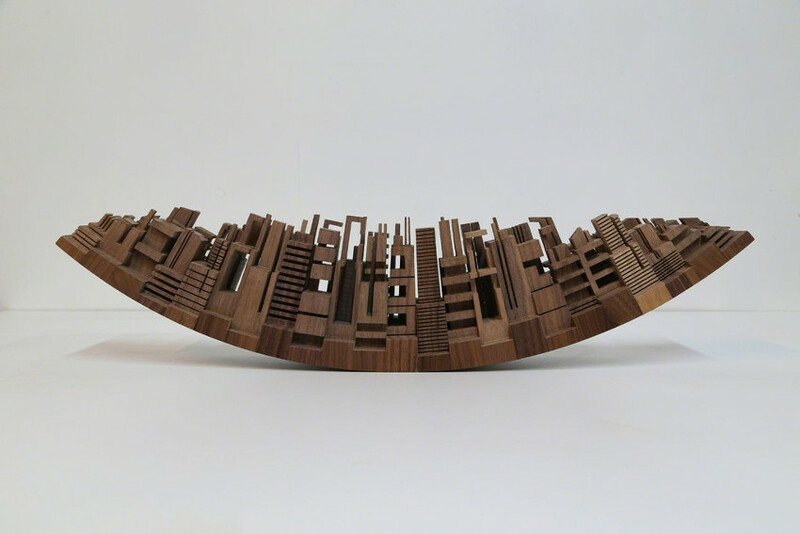 In 2014, McNabb started a Kickstarter campaign with his wife, Stephanie McNabb, in order to double the size of the City Series collection with new sculptures. The supporters had the opportunity to receive their unique buildings and pieces of James McNabb’s city. The artist had his debut solo show Metros at Robert Fontaine Gallery in September 2014. His work was included in various group shows and art fairs in the US and beyond. He is represented by Magda Danysz Gallery in Paris. James McNabb lives and works in Philadelphia.